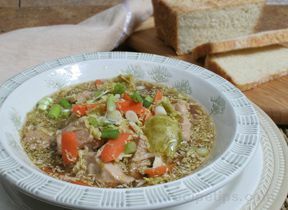 Make this family-favorite soup easily in your slow cooker with Slow Cookers&nbsp;Chicken Noodle&nbsp;Soup Seasoning Mix. 1. 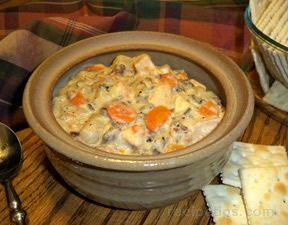 Place chicken and vegetables in slow cooker. 2. Mix Seasoning Mix and water until blended. Pour over chicken and vegetables. Cover. 3. Cook 8 hours on LOW. Stir in rice. Cover. Cook 20 minutes longer on HIGH or until rice is tender.Slow Cooker Tip: For best results, do not remove cover during cooking.